Update: No. Not Atlantis. The lines came from Google’s sonar equipment. Drats. 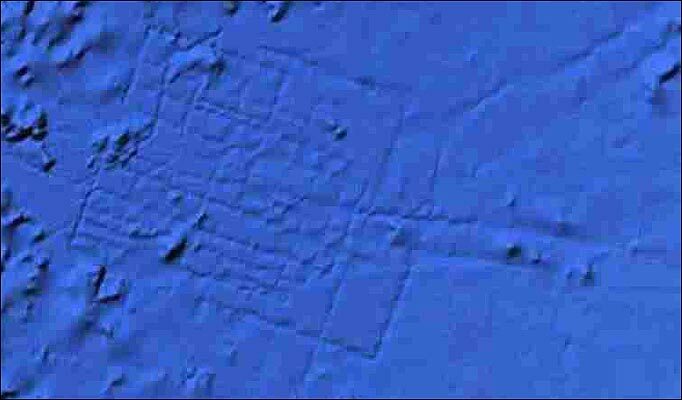 It shows a perfect rectangle the size of Wales lying on the bed of the Atlantic Ocean nearly 3Â½ miles down.